The story begins in 2002, when Dr. Bill Shannon of Grace Community Church met a young Italian man, Johnny Gravino. Johnny wanted to know more about theology—and specifically, how he could receive theological training. Dr. Shannon described to Johnny what training was like at The Master’s Seminary and encouraged him to continue praying for the Lord to open the door for him to attend. Johnny was able to attend the seminary, serve under Dr. Shannon and others at Grace Community Church, and earn his degree from The Master’s Seminary. Johnny describes Dr. Shannon as “a faithful mentor who has been an ever-present example in my life of what it means to shepherd the flock.” Johnny then returned to his native Italy, eager to pass on the training he had received, as well as begin training other church leaders in Italy. 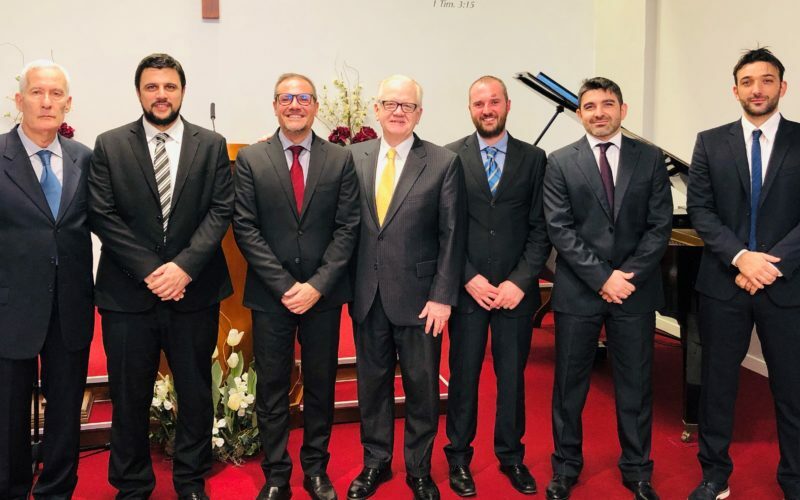 Now, he leads Italian Theological Academy (ITA), The Master’s Academy International’s member school in Italy, and oversees the training of church leaders across the nation. What started with a conversation between Johnny and Dr. Shannon more than a decade and a half ago has grown into a fruitful ministry relationship, impacting church leaders like Michele and many more in the local church to live out their faith boldly for Christ. Your support helps strengthen the ministry of men like Johnny and the faculty of Italian Theological Academy, but it ultimately helps to change the lives of thousands of students and church members through the teaching of God’s truth. By praying and giving financially to TMAI, you enable the Word to go forth to reach the nations.